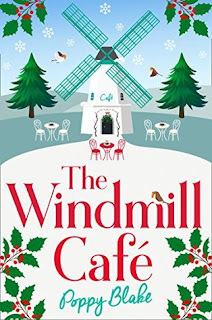 The Windmill Café is an omnibus containing three novels all set in the same location. In the first story, Rosie Barnes has fled to the small town of Willerby to attend a garden party. This should be a great distraction to Rosie as she has experienced a bad breakup. Having caught her fiancé in the act of cheating was horrible for Rosie. Things are still not pleasant for Rosie, however, as an apparent accident occurs to one of the guests. Was it an accident that occurred, or was it actually a poisoning? How could it have happened? Now working at the Café, Rosie decides to team up with a town local, Matt, to solve the case. The police appear to be dragging their feet. Suki, a singer at the lodge, is the woman that was poisoned. A lot of questions arise and Rosie won’t rule out any possibility as to the cause. Is the town safe? Better yet, what of the Café? This is Rosie’s chance for a new life. Yes, she must get to the bottom of things. In this entry into the series, Rosie and Matt begin interviewing everyone that could possibly have been responsible for poisoning Suzi. all the while a gentle romance blooms between Rosie and Matt. As I read the second book in this series six months ago, I looked forward to reading the series in order. I found the dialogue to be rather droll, but I am glad to have given this series a try. Autumn Leaves - *Published individually on June 26, 2018. When Rosie’s ex Harry turns up she is nonplussed. Why is he in Willerby? She has gotten her life back together and she’d much rather prepare for the Christmas celebration about to take place at the Windmill Café. Plans have been underway for months. There will be a Christmas tree competition and Rosie wants everything to run perfectly. Rosie hardly has time to think of the sudden business proposition that Harry makes. Not only does she have her current job to consider, there is Matt, the man she met and has worked with while at the café. Rosie gets even more distracted by a change in events. There is a cycle race about to take place, and one of the town’s members, Theo, is injured. Another accident? Of course, Rosie doesn’t believe that, so she starts her own investigation. This was a nice addition to the series. As in the previous two books, the mysteries are rather light, as is the romance. So, the crime, Christmas and the planned wedding of two people named Josh and Grace all tie in together to make an engaging story. This really was a nice conclusion and I am glad that I got to read the entire series in order. Many thanks to Harper Impulse and to NetGalley for this ARC to review in exchange for my honest opinion. Poppy Blake is an avid scribbler of contemporary romance and romcoms. When not writing she loves indulging in the odd cocktail or two – accompanied by a tower of cupcakes. The Windmill Cafe series follows the life and loves of Rosie and Matt in the glorious countryside of Norfolk and will be opening its doors in March 2018 with Summer Breeze. Why not pop in for a visit?